Valentine’s Day is right around the corner, and we want to help you make it special! 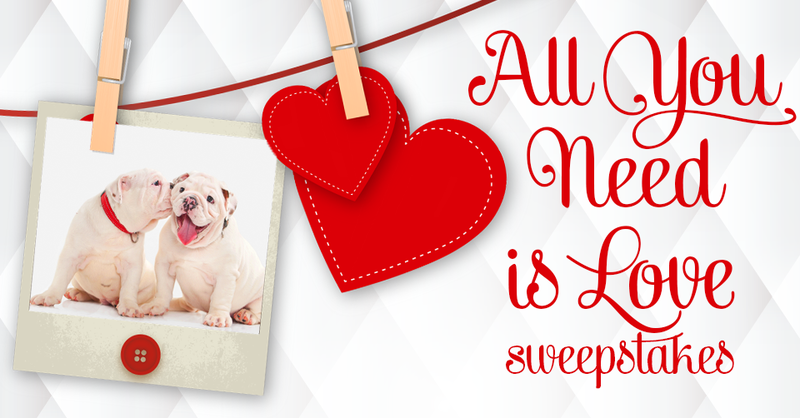 Residents of Willow Creek Crossing Apartments 18+ can enter the All You Need Is Love Sweepstakes by Liking our Facebook page and posting a picture of you and the one you love OR share a comment on our Facebook page about who you love and why. Love your puppy? Post it! Love Chris Pine (who doesn’t), post that! Your kids are the apple of your eye? We’d love to hear it! 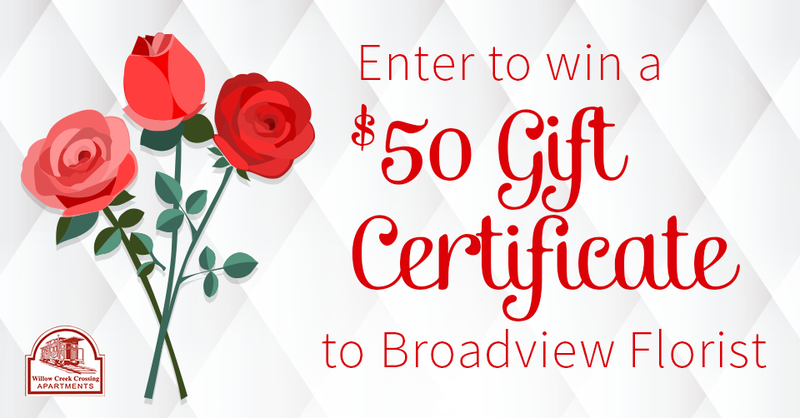 Everyone who enters will receive a small prize, and one grand prize winner will receive a $50 Gift Certificate to Broadview Florist. Contest ends the morning of 2.6.15, and we’ll draw winners that same afternoon so you have time to get in an order for Valentine’s day! So if you’re a current resident of Willow Creek Crossing Apartments, go post a photo or comment of your love on our Timeline. Good luck!